When it was released in 2006, the Kawasaki ZZ-R1400 was the fastest and most powerful motorbike you could buy. Even 12 years on, its 197bhp would still win you a few rounds of Top Trumps. As an ultra tourer, it was never going to be a flickable bike, at 215kg it’s far too heavy to be a dedicated track weapon, but for racking up miles around Europe it’s fantastic. It can hit its limited 186mph top speed with a gear to spare and is smooth, predictable and sporty enough for the road. "This 2011 Kawasaki ZZ-R1400 with ABS has just 16,638 miles on the clock. It looks great in black and grey and comes complete with both handbook and service book with four stamps. "The last service was completed under 1000 miles ago when it also got new tyres. It has an MOT until March 2019, and is a nice, clean, well maintained bike." 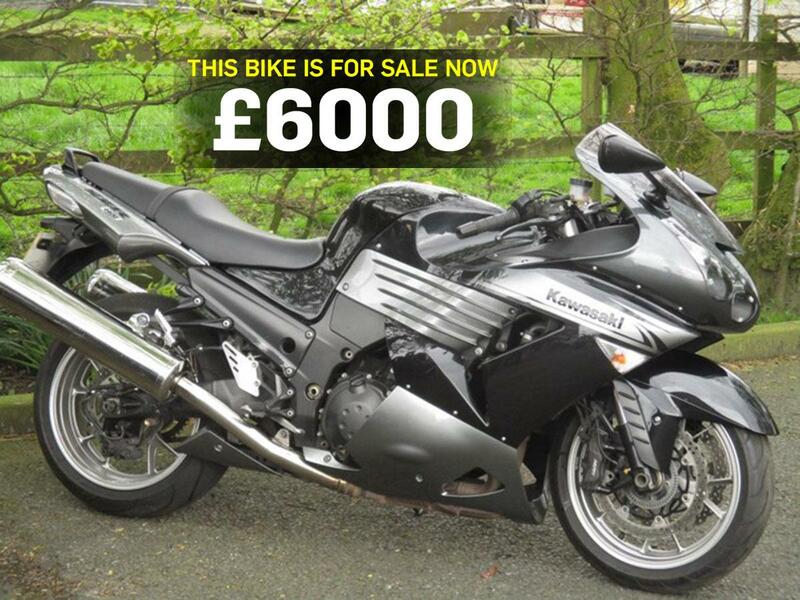 Find this Kawasaki and other ZZ-R1400 models at MCN Bikes for Sale.